Players will be able to choose the order in which they play story missions. Metal Gear Solid games tend to be fairly point A to point B in their structure. You might have a few cursory choices on how you bypass individual obstacles, but the story has a set path and the game is going to do everything it can to get you there. With Metal Gear Solid V: The Phantom Pain, however, series creator Hideo Kojima hopes to shake things up. Some of this will come in the form of fresh and diverse gameplay options to give gamers more ways to play. 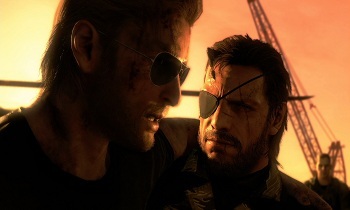 Additionally, however, Kojima hopes to give players more choice in how they experience the game's story. "Think of past Metal Gears as like movies, you just move along and really enjoy the ride," said Kojima, speaking at an E3 roundtable. "And think of Metal Gear Solid 5 as a TV series." Each mission in the game will be like a separate episode with a self-contained story. "You can play any mission, any episode at any time. But ultimately when you play all of them and get to the core of the story, everyone will get the same viewpoint [of the story.]" Kojima and company hope the looser story structure, coupled with the gameplay's tilt toward open world mechanics will give players a Metal Gear experience that is fresh, fun and modern. "Creating that kind of freedom [for the player], I think that's the future of games."